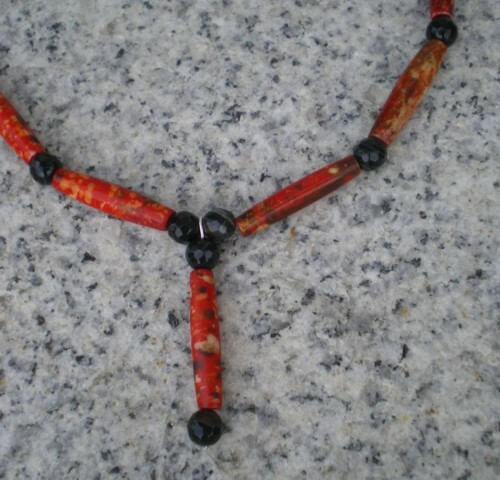 15 3/4″ Long necklace, marbled wood beads of orange,tan, black surrounded by banded Onyx beads. Black seed beads towards the end of the necklace. 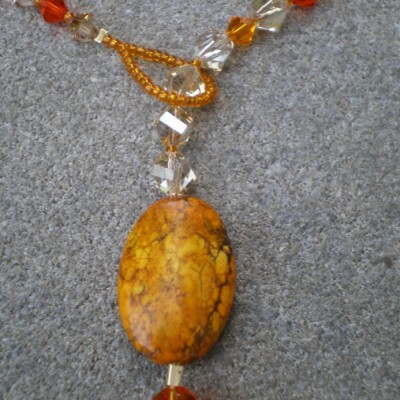 Necklace has matching pendant. Sterling silver lobster claw clasp. 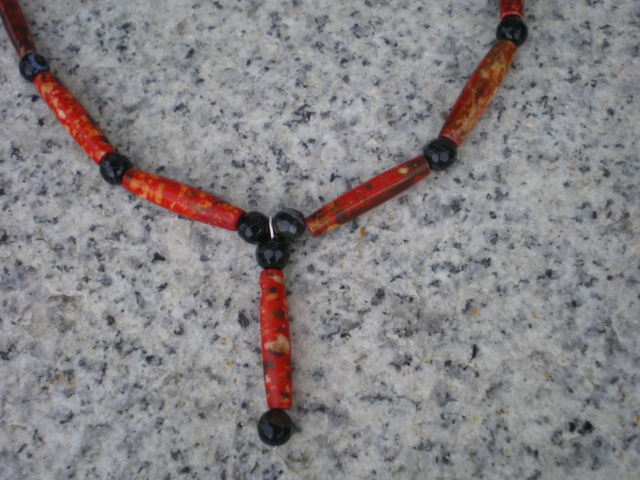 Be the first to review “Onyx And Wood Beaded Necklace” Click here to cancel reply.